When winter comes most riders put their bike to bed until spring but in the spirit of Christmas, here’s why it doesn’t have to be like that. Carrying on your riding over the winter months not only saves you money when compared to driving a car or taking the train, but it keeps your skills sharp when the weather improves in spring. We’ve got some top tips to help you stay riding and be safer over the winter months. If you’re cold, your bike and the road surface will be too, and it’s important to remember that your body is not the only thing that will seize up in cold temperatures. You can get tyres specifically designed for riding in winter and in cold conditions for your motorcycle. 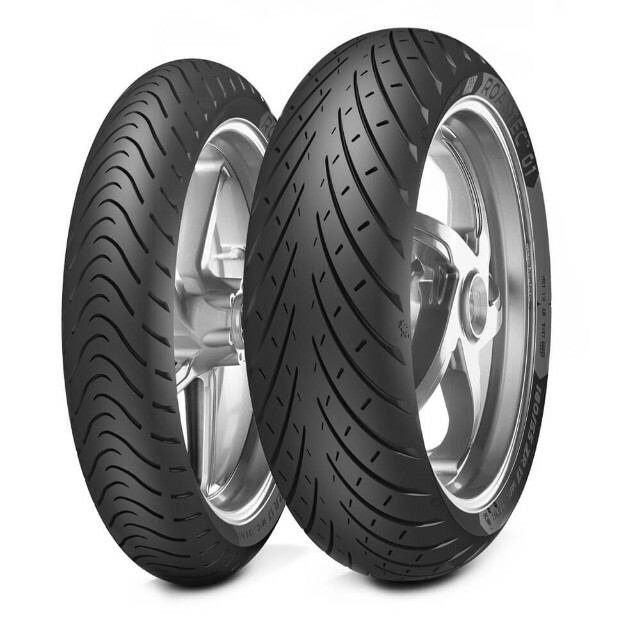 Fit modern sport touring tyres rather than sporty track tyres; they will work well on sportsbike during winter perfectly well. Try Michelin’s Pilot Road 5, Dunlop RoadSmart III, Bridgestone Battlax T31- or Metzeler Roadtec 01 –even on sports and superbikes. They’re superb in the wet, warm up quickly, have loads of life and give more grip than you need in the dry on the road. As you might expect, dual-purpose tyres aren’t just suited for riding in the summer months but are also suited to more rugged and uneven terrain. This will obviously help in winter road conditions. There are now winter tyres available in a limited range of tyres for adventure bikes and scooters which work well during the colder months. Don’t reduce tyre pressure to increase grip – it’s a myth and one that won’t help you. These are three of the most dangerous road surfaces to ride on and the ones that should be avoided if at all possible. There is little or no traction in these conditions and staying upright is near impossible at normal speeds. The technique here is to stay at home and if not, travel slowly, stay in low gears and brake and accelerate slowly. Keep an eye out for areas of shade under trees as frost can linger under there for hours after the rest of the road has cleared. Also, keep an eye on puddles at the side of the road for a clue to how cold it is. If they are tinged with frost then be warned. If you come across the dreaded black ice, it’s best to travel slowly across it in a straight line – don’t brake, don’t accelerate and try not to turn. It should be avoided where possible. In snow, it’s not just traction that causes issues, your visor is also likely to get covered meaning visibility gets very limited very quickly. Again, the best way of staying safe in snow is to not go out in it on your bike. Your bike’s engine and tyres will take longer to get up to optimum temperature for performance and grip. Try to get your engine ticking over before you set off and warm your tyres in a safe place. It’s also worth remembering that the faster you travel, the more the wind speed increases and your temperature therefore drops – think about your bike and it’s temperature. As is the case with most adverse weather conditions, the key is to slow down and give yourself more room to cope with any hazards. In the cold, as mentioned, road surfaces are often more slippery, and tyres don’t warm up as well. That means traction is lowered so you should slow down to reduce your need for grip. You should also avoid braking and accelerating hard because a sudden change in speed when traction is low is a recipe for disaster. It’s important to remember that stopping distances are increased, not just for you but other road users too. 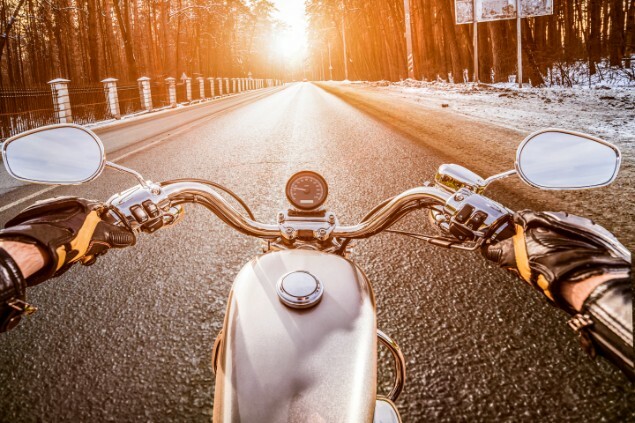 Again, slowing down and increasing the space between your motorbike and other road users is important – it gives you more time to react and more room for manoeuvre should you need it. By slowing down you give yourself extra time to see road hazards, slippery surfaces, fuel spills and allows you more time to react to other roads users and any potentially dangerous movements. 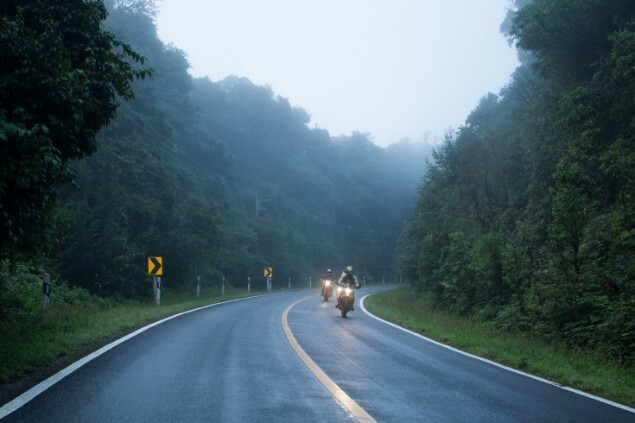 One top tip from experienced motorcycle couriers is to let any other motorcycle or scooter riders past in the wet or dark as this gives you a chance to see anything that happens to them and react before it happens to you. Ride every wet road as it is was icy is another bit of advice from those experienced at winter riding. If you’re expecting low grip all the time, it doesn’t come as a surprise when you come across it. It’s also more likely to rain in winter and, with road gritters more common too, you should be aware of spray. Get a helmet with a good visor and be prepared to wipe it clean whilst you’re on your bike. Buy a visor insert to stop if fogging up in cold weather. Or cheat and rub washing up liquid onto the inside to act as an anti-mist treatment. You should also try to signal as early as possible. This gives other road users maximum time to know of your intentions and adjust accordingly. If you’re cold then you’re going to be stiff and a stiff and rigid rider is a bad one. There is a wide range of heated motorbike clothing and accessories on the market and they’re not gimmicks. They keep you warm and comfortable and prevent your hands (which are quite important when you’re riding your bike) from becoming numb. Keep your hands off the cold brake and clutch levers as much as possible as even with thick winter gloves on the cold will seep through to your fingers. You can buy lever covers which reduce the chances of this happening. Keeping warm is vital and modern base layers are brilliant. You can add heated electric clothing, boots, gloves if needed and along with heated grips they make a massive difference. A thermal neck warmer can give you hours of extra warmth as it seals off that gap between your jacket and helmet. 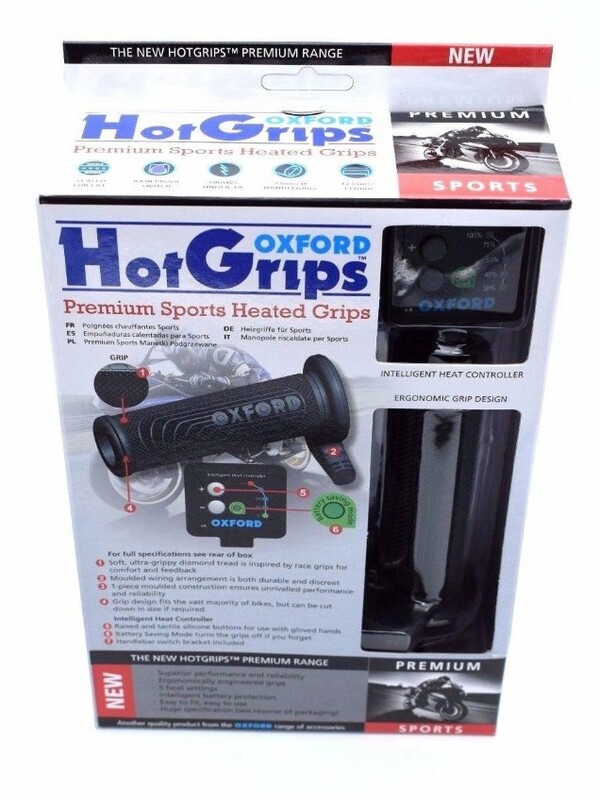 If you don’t have heated grips on your bike (and don’t want to fit any) a temporary winter fix can come in the form of handlebar muffs which are only a reasonable cost to fit and come off once the weather improves. A taller windscreen keeps a lot of cold off your head and chest and works well in winter to keep spray off you to reduce the chilling effect. Carry two pairs of winter gloves on long trips. If one pair gets wet you can avoid cold hands by putting on a dry pair. Winter brings with it poor visibility for every road user and bikes are notoriously difficult to spot in good conditions. Wear bright, reflective clothing. Auxiliary lights are available for a wide range of motorcycles and not only make you more visible to other road users but they help to light up the road ahead and make you more aware of hazards.